Nvidia has released driver update version 398.82. This driver package brings with it Game Ready optimisations for World of Warcraft: Battle for Azeroth and Monster Hunter: World, alongside a whole heap of bug fixes for various issues plaguing gamer’s systems. 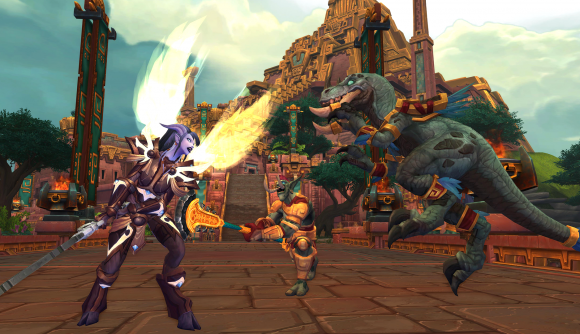 World of Warcraft’s upcoming expansion, Battle for Azeroth, is set to reignite the eternal struggle between Horde and Alliance once again on August 13/14, and Nvidia’s GPUs are already prepped for the release with Game Ready drivers. These drivers are tailored to every game to ensure decent performance at launch, so you’ll want to make sure you’ve got them installed in you are already counting down the days until the battle commences. The same goes for Capcom’s console critter-slaying hit, Monster Hunter: World, which has Game Ready drivers ready and waiting for its release on August 9. 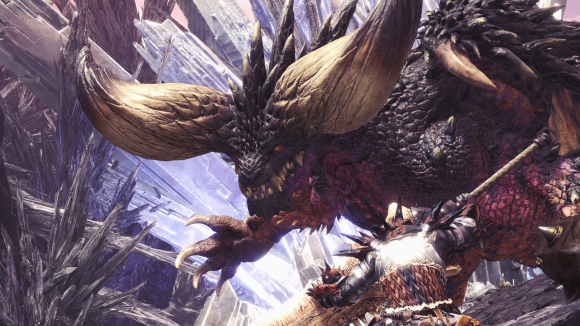 This driver update should help your GPU keep up with the title a little better, but monster hunting is reportedly a tough task for your CPU, too – so make sure to check the Monster Hunter: World system requirements. As for bug fixes, some of the more major fixes include: G-Sync settings returning to Surround mode, World of Warcraft: Legion will no longer suffer “severe colour corruption” if HDR and G-Sync are enabled on a GTX 1080, and a Dark Souls Remastered fix that puts a stop to the ghosting issue affecting users opting for TAA (temporal anti-aliasing). There’s also SLI profiles for Call of Duty: Black Ops 4 and World of Warcraft nestled in that driver code somewhere. Neat. Download the latest Nvidia drivers here. [Surround][G-Sync]: In Surround mode, the G-SYNC link in the NVIDIA Control Panel is missing. [Surround]: 1×3 Surround configuration cannot be set from the NVIDIA Control Panel. [SLI][GeForce GTX 1080][G-SYNC][World ofWarcraft: Legion][HDR]: Severe color corruption appears in World of Warcraft: Legion after launching with the Windows HDR setting enabled. [SLI][Dark Souls Remastered]:Ghosting occurs in the game when using in-game temporal anti-aliasing. [NVIDIA Control Panel][Surround]: NVIDIA Surround hot keys do not work. [Dead by Daylight][GeForce Experience]: NVIDIA Freestyle does not work with the game. [GeForce GTX 1080 Ti][GameStream]: White dots may appear while Gamestreaming on an overclocked GPU. [Unreal Engine 4]: Resource creation leak occurs in the driver when running Unreal Engine 4 games. [Wolfenstein II]: Graphical effects are missing in the game. [G-Sync][Multiple Apps]: Applications don’t run in IFlip when using the native resolution, preventing G-Sync from triggering. [Wolfenstein II: The New Colossus]: Black textures appear in Wolfenstein II: The New Colossus. [GeForce GTX 1080]: Dolby Vision no longer works after updating LG TV firmware to 4.70.x. [G-SYNC]: Windowed G-Sync mode may stutter after upgrading to Windows 10 Spring Creators Update. [Euro Truck Simulator 2][DirectX NVCamera]: Performance drop occurs after enabling Freestyle for the game. [Netflix Edge Browser]: When playing a game in full-screen mode and playing a video from the Netflix Edge Browser, blue-screen crash occurs after multiple [Alt+Tab] switching between the two. Windowed G-Sync mode may stutter after upgrading to Windows 10 Spring Creators Update. Random DPC watchdog violation errors occur when using multiple GPUs on motherboards with PLX chips. Using power monitoring in GPU monitor tools causes micro stutter.